Sapiens aka Alon Shapiro is a buzzword in the international, underground scene of deep techno and intelligent prog/tech house genres. Based in Tel aviv he has become publicly known for his sophisticated, captivating, pumping sets and outstandingly precise, harmonic mixing techniques. His live acts and DJ sets combine versatile genres, rhythmic drive and groovy vocal samples into a singular yet manifold composition, sure to do proper damage on any dance floor. Having started to play piano at the age of 5 and having received a classical piano education before reaching his maturity, Alon has pretty fast gained a character of a serious melomane, music collector, a vinyl freak and a DJ, constantly digging up the most innovative, intelligent and eclectic sounds for his live sets and production projects. His popularity brought him to the main lines and club stages of Tel Aviv and abroad and he was fortunate to play alongside renowned talents like Jamie Stevens, DJ Slater, Weekend Heroes, Audio Junkies, Luis Junior, Tiger Stripes, Stereo Underground and many others. 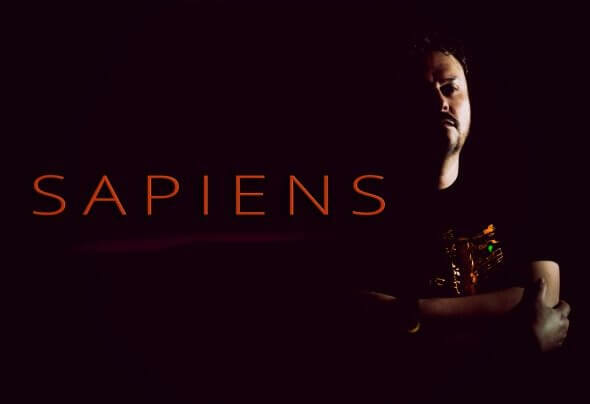 Sapiens produces original music since 2011 and has been already credited with over 30 releases on the most-respected, underground record labels supported by giants like Cid Inc, Sasha, John OO Flemming, Barry Jamieson, Ben Coda, Sezer Uysal, Darin Epsilon, Dousk and others. His original themes are remixed by mighty artists like Inkfish, James Monro, Rick Pier O’Neil and others. Further still he consistently features as a guest artist of well­known streaming radio shows like “Groundworx Sessions” on Siren 107.3 FM (UK), “Suffused Diary” on FRISKY Radio, Proton Radio Shows and DI.FM. Besides his fruitful studio activity and co-productions he is a resident in several underground outdoor productions and has recently established his new side projects: Deep Inside and #Ear (SharpEar), mainly focusing on a fusion of Chicago/Detroit Deep House and Nu Disco/Indie Dance genres.